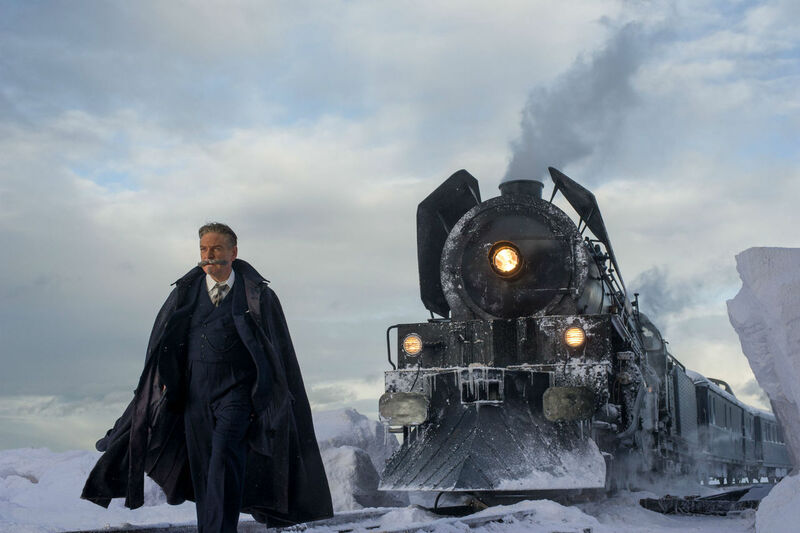 Adapting Agatha Christie’s famous novel, Kenneth Branagh’s Murder on the Orient Express is a whodunnit where large pockets of the audience will already know whodunnit. So, in order to justify this cinematic reimagining, we need something new and original, a fresh take on a story so many of us are accustomed to – and yet this feels more like a pastiche, not bringing anything new to the table at all. Branagh plays Hercule Poirot, a much celebrated detective who needs to attend some business in the UK, and so relies on his friend Bouc (Tom Bateman) to sort him out with a bed on the Orient Express, where he will be sharing a carriage with a myriad of elusive, intriguing passengers. One of which is Ratchett (Johnny Depp) who is found dead one morning, with several stab wounds to his torso. It could only have been somebody aboard this train, and so Poirot makes it his mission to uncover the identity of the killer – and thanks to an avalanche resulting in the train stopping, he has the time to conduct his investigation. The ensemble cast here is staggeringly impressive, as the join the aforementioned stars are Daisy Ridley, Judi Dench, Josh Gad and Derek Jacobi. Add to that Penelope Cruz, Michelle Pfeiffer, Olivia Colman and Willem Dafoe and you have one helluva train. But regrettably in this instance that doesn’t equate to a triumphant production, perhaps not utilising the cast quite well enough, given there’s so many of them, we’re lacking focus, not truly allowing enough time to explore the characters in enough depth – which, given how many there are, is verging on impossible anyway. There is a fun, kitsch element to this title though, epitomised in the overtly theatrical performance of Branagh, though the film might’ve benefited from amplifying this approach, and thriving more so in the grandiose aspects. That said, the costumes, dialect, the some from the engine, the electric candlelight, it does give this film an indelible aesthetic, at the very least. But it’s just a shame to see such a wonderful story and cast not done justice too, as a film just lacking in that playful edge, too pedestrian in its execution. There can be some fun to be had with this title, but it’s most certainly not a film you’d feel the need to see again, or at all for that matter. This entry was posted in Reviews and tagged Crime, Drama, Mystery on November 3, 2017 by Stefan Pape.